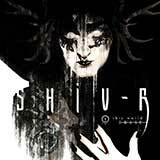 Shiv-r is a new force in the field of dark electronic music consisting of Australians Lee Bulig (aka Kong) and Pete Crane (aka Virul3nt). Prior to forming Shiv-r, Lee was the mastermind behind the band Stark, and Pete was responsible for the project The Crystalline Effect. The key characteristics of Shiv-r are haunting, neoclassical melodies, harsh percussive club sounds, clean male vocals delivered in shouts and whispers, sparse rhythm guitars and an overwhelming dark atmosphere. Amazingly both members are living abroad, Lee in Bangkok, Thailand and Pete in London, England and none of Shiv-rs songs were written with both members in the same country, let alone the same room. Despite the geographical distance, the two personalities have been collaborating on music in various projects for the better part of the last 10 years, and are in tune enough with each other to write in sync over long distances. In 2008, Shiv-r released their debut maxi-single Parasite which brought them to the attention of Infacted Recordings. 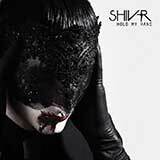 For 2010, Infacted Recordings in Europe, and Metropolis Records in North America will release Shiv-rs debut full length album, Hold My Hand, in late spring.